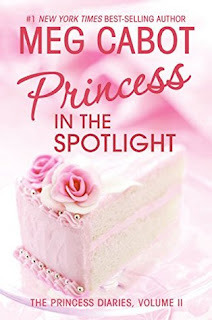 Just like book one, Princess in the Spotlight was a sweet and light read. It was definitely a nice break from my thought provoking, complicated books. I think what I enjoy most about this series is that it's easy and fun to read. There aren't complicated plot lines to follow, I can just read. The only problem that comes with a simple book like this is you can either love it or get bored. I found myself getting a little bored. Don't get me wrong, I enjoyed the book, but a whole lot of nothing happens. There are a bunch of different plot points in the story (Pregnancy, Wedding, Interview, Vandalism, A Secret Admirer, A Hot Cousin, etc.,), but everything that could turn into a scandal doesn't. Nothing super big happens. Instead we have more building leading to *hopefully* an epic romance between Mia and Michael. KISS ALREADY! TELL HIM YOU LOVE HIM! MICHAEL, KISS HER FACE OFF! It's killing me lol. I definitely enjoyed it and will be continuing on with the series, but I just wish something big would happen. Maybe I'm just too used to big, epic plot points like in A Court of Thorn and Roses. 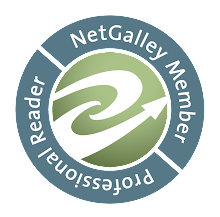 I definitely enjoyed the read, but I just felt like not a whole lot happens. I'm used to big, epic, complicated plot points and this just didn't have it. I didn't expect this series to be super complicated, but for the love of god will she just make out with Michael already! The problem for me is there is a whole lot of building towards a romance and it still hasn't been delivered! On the other hand I feel this is Meg Cabot's masterful way to keep us reading. We're waiting for that expected first kiss, or first admittance of mutual feelings. I will absolutely be continuing on with the series, I just felt like more should have happened in this book. Still enjoyed my time reading, just wanted more.